The SCHF18 Extreme Survival fixed blade from Schrade features a black powder coated blade with a recurved cutting edge and heavy duty full-tang construction. 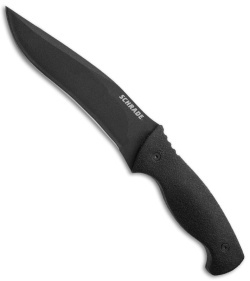 TPE rubber handles provide excellent traction and grip for all-weather use. 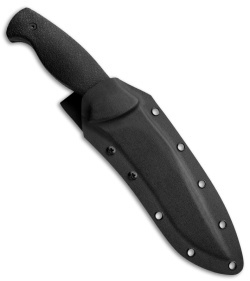 The SCHF18 includes a Kydex sheath with multiple carry options.